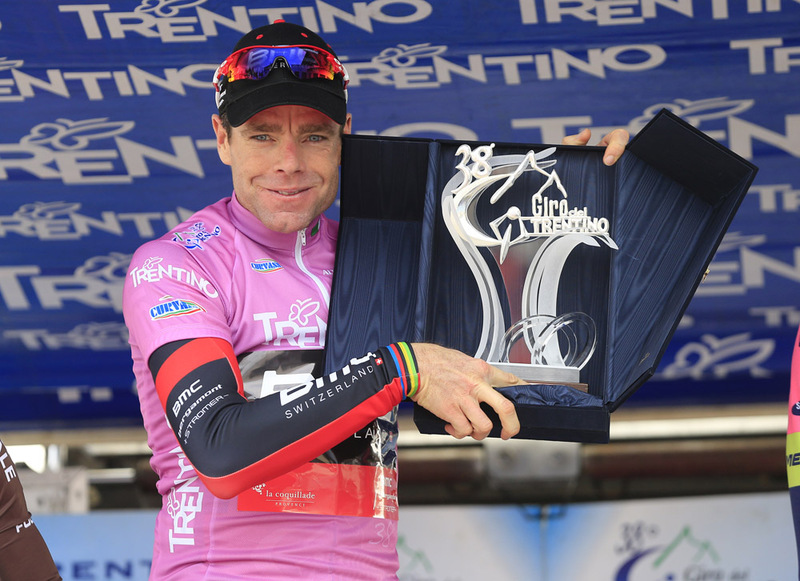 Cadel Evans (BMC Racing) successfully defended his race lead on the final stage of the 2014 Giro del Trentino, taking his first overall stage race victory since the Criterium International in 2012. Evans came home in fifth on the final mountain-top stage to Monte Bondone behind the day’s winner, Mikel Landa (Astana), to secure the victory. Louis Meintjes (MTN-Qhubeka) put in a spirited ride to place second behind Landa, with Franco Pelizzotti (Androni Giocattoli) in third. Evans completed the race with a healthy 50-second margin over Domenico Pozzovivo (Ag2r) overall, with Przemyslaw Niemiec (Lampre-Merida) a further 11 seconds back. The Australian 2011 Tour de France winner now goes into the Giro d’Italia on May 9 as one of the leading favourites. BMC’s win in the opening Trentino team time trial, as well as Evan’s solo win on stage three, will have been noted by his rivals. The final stage included three categorised climbs, and an early three-man escape group saw British time trial champion Alex Dowsett (Movistar) having a turn out front. However, as the break reached the first of the day’s three big ascents – Campo Carlo Magno – Dowsett dropped off the pace. 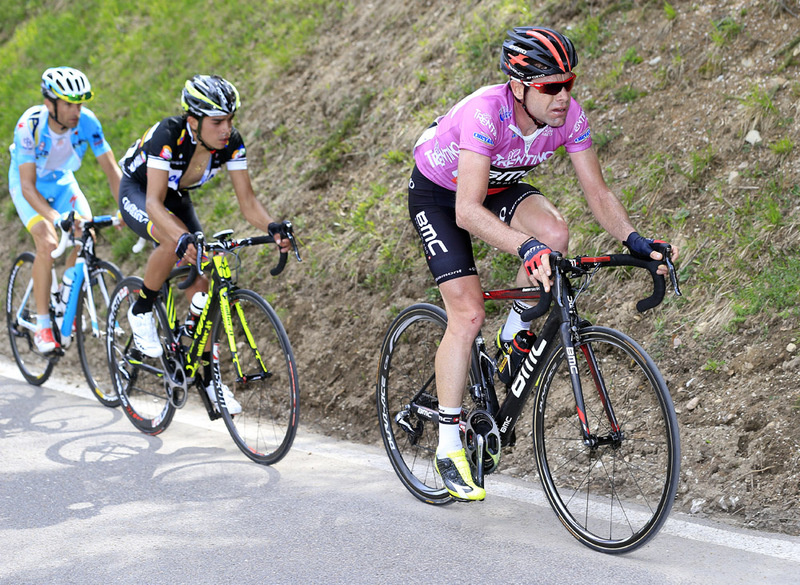 A 12-man lead group then formed up, and with greater numbers they pushed on until they hit the final climb of the day – the 17.5km route up Bondone, touching gradients of 13 per cent in places with an average of eight per cent. With 10km to go, the lead group on the climb had been whittled down to a selection of contenders, including Evans, Landa, Pellizotti and Bradley Wiggins (Sky). 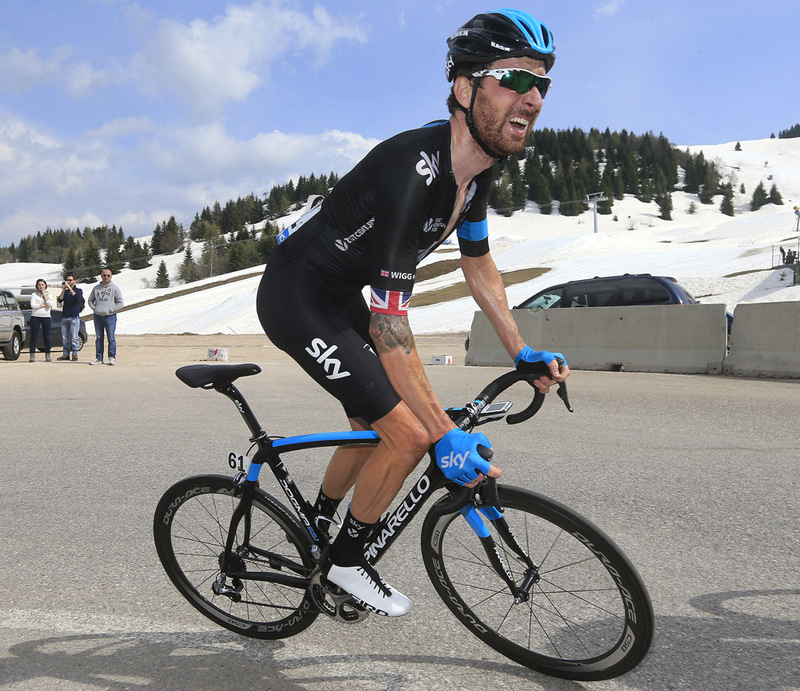 Wiggins then found himself in a small group dropped from the leaders, but clawed his way back up in the final 5km. By then, however, Pellzotti had attacked, taking Landa and Meintjes with him. Meintjes then put in a dig as Pellizotti paid for his earlier efforts and slipped back. Placed in between the two riders, Landa chased hard, catching and then attacking Meintjes to take a solo win.